Wat Klong Kak Located at Sai Hot-Mae Jam Rd. from Mae Jam around 7 kilometers. People of Baan Klong Kak community come from different places such as Lampang, Chiang Lie,Naan When this community start and then the construction of the temple and worship as it happens. 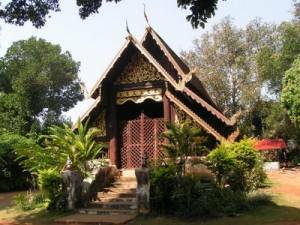 The temple of Wat Klong Kak is over hundred years old. Build by artist from Lampang and the most important is mural. Is not unique to that of the Cham. Because each image, the artist has put it in the end, learning is more insightful. Buddha. The angels dance and various shows.